Have you ever tried to search for some data online when you were multitasking and couldn’t type the text? It would be quite challenging without the opportunity to conduct voice search. According to PWC report, 71% of respondents would rather use their voice assistant to search for something than physically typing their queries. And what’s the most important is that the differences between spoken and typed queries may cause different SERP. It means that your competitors’ voice search optimized websites have much more chances to engage most of your potential customers or subscribers. If you want your website rank for voice queries as high as for the typed ones, this article will help you discover all the steps you should undertake. Do you remember when voice search required calling a phone number from your mobile device and saying your search query? Well, it was in the early days of voice search (to be more precise, in 2010), and few people actually used it. Since then, voice search has improved significantly. On June 2011, Google announced they started to roll voice search on Google.com. Once being available only in English, today there are about 60 languages supported in Google Voice Search. With ‘Hummingbird,’ updated in 2013, the concept of typed and especially spoken search changed a lot. The algorithm emphasized natural language processing and was aimed at considering the users’ intent and the context of the query. From that moment search questions structured in sentences got more relevant answers. So, it influenced voice search, which is usually formed from long phrases, a lot. Experts’ opinions about optimization for voice search differ but each of them agrees that it’s an important part of an SEO process. And this is what Shane Barker says about it: “Facilitated by the launch of voice-based digital assistants like Siri and Alexa, voice search now constitutes a significant part of all online searches. And its share is only going to rise to a level that SEO experts can’t deny its importance. The question is, who will be best prepared when voice search takes up a majority share of all searches? And the answer to that is SEO experts who are devoting their time to it now. However, there is another side to it. Though voice searches are likely to be a really important part of SEO in the future, it is not the case now. While my advice would still be to start preparing for it, I would advise against allocating a substantial part of your budget to it. So, let’s speak about the ways of voice search optimization. Due to the differences between the results of typed and spoken ways of search, your site optimization for the traditional search isn’t the same as the voice search optimization. The most significant thing to worry about is that people using their mobile assistants to conduct voice search get only one top result. As half of the search will have been conducted by voice by 2020, half of your potential customers won’t see your website even if you’re the fourth in the SERP. Ranking the top will be the main goal for every business owner. So, what are the essential factors for you to consider optimizing for voice search? The reason I mentioned these snippets is that Stone Temple Consulting claims that 30% of 1.4 million tested Google queries contain them. 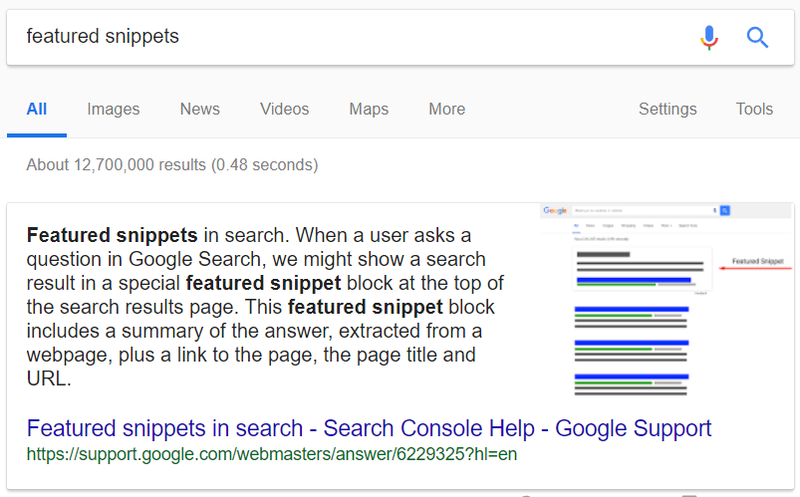 And you can be sure that if the results include featured snippet, your voice assistant will demonstrate it. 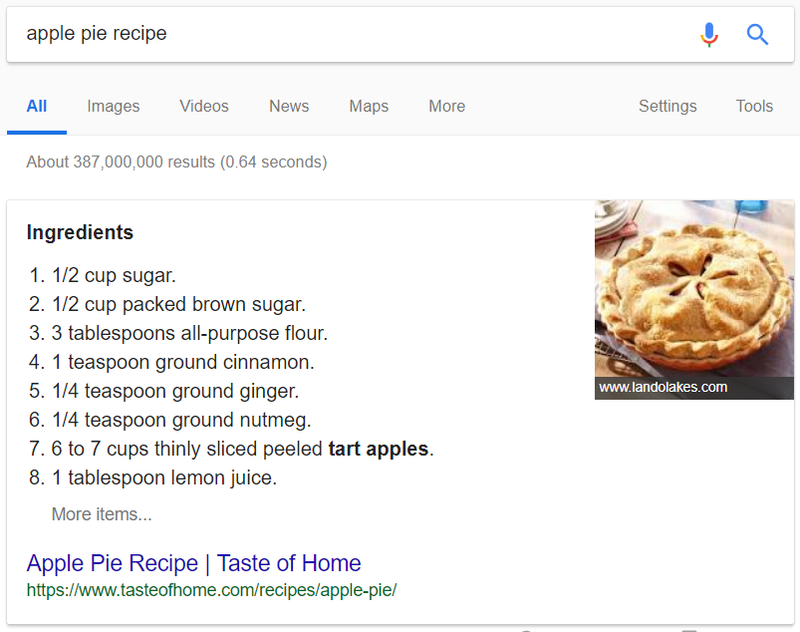 That’s why one of your goals when willing to get ranked in voice search results should be providing such a quality data for Google to express it in the featured snippet. Do people search for your website when they want to buy something or to find out some information? The reason a person looks for websites is called user intent. Sometimes it may be obvious and expressed in the query with the words ‘buy,’ ‘price,’ ‘how to,’ ‘what is,’ etc. Sometimes it’s only in the users’ minds. Regardless of how the intent is expressed, due to the Hummingbird update, Google dwells into the context of the search query, investigates the sites’ content and provides you with the relevant answers. For example, if I say ‘oscar winners,’ it’s most likely I’m interested in the recent ceremony, not in the results from 20 years ago. And search engines understand it. That’s why you should consider user intent when creating the content which will enhance the relevance of your pages to specific search queries. If you want to optimize your page for a featured snippet, your main aim should be understanding user intent and giving your audience an immediate answer. Searching for some information with the help of voice assistant, people behave as if they’re talking to a human. Most of them don’t simply use short keywords, but instead, they ask questions and prefer long phrases. By the way, using long tail keywords is a good practice not only for voice search optimization but also for traditional SEO. The fact is that the key phrases containing more than 2 words have the lower difficulty (or competition) level and provide the great chances to rank the top. To find out what questions your target audience may ask and not to spend much time, you can use special services, such as Answer the Public or Serpstat Search Questions. If you go with Serpstat, simply type the word or a phrase best describing the subject of your content and see how people usually search for it. When you choose the questions you’re writing about in your post, add them to the pages around your site. Create h2 headers using these queries and provide an answer in the body text. Answer the questions concisely and make sure the main idea is stated briefly. After you answered the question directly, you can also cover other related search questions. It’ll help you rank for as many variations of queries as possible. Not to lose your position at featured snippets, keep your content fresh and update it regularly. The time needed for your page to load influences whether it will appear in voice search results or not. So, if you want your page to be visible to all those people who prefer voice search, make sure its loading speed is high enough. As people searching by voice are always on-the-go and don’t have time to wait, it’s difficult to overestimate the importance of optimizing your page speed. 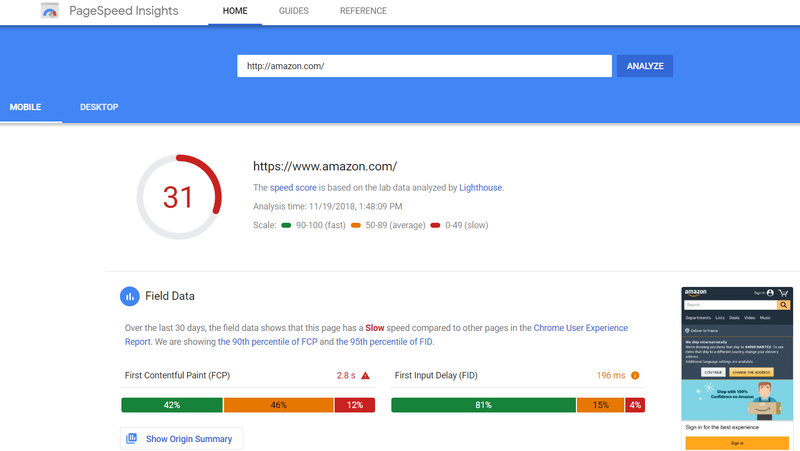 Before taking any actions, analyze your website speed with PageSpeed Insights. The service will tell you whether your site’s loading time is low enough, and what you can do to lower it. Mind that mobile speed data is the most important for optimizing for voice search. Also, to Shane Barker’s mind, you should make a website mobile-friendly because a majority of voice searches happen via mobile devices. What is structured data? It’s code added to HTML markup and used by search engines to better understand your site’s content. Using structured data, you make search engines crawl and read your content efficiently. Having this data can also help your pages appear in featured snippets and, consequently, in voice search results. Shane Barker also appeals to use structured data markup to provide better information to mobile devices about your website and its content. To find out how you can implement structured data to your site, use Schema.org vocabulary. There’s a set of schemas which enables SEO experts to markup their websites. When elaborating structured data, you should remember it’s easy to become spammy. Use the data which is relevant to the content you provide. Moreover, it’s essential to update your markup, as everything tends to be constantly changing, and your website isn’t a conclusion. The BrightLocal report says that 58% of consumers use voice search to find local businesses. It isn’t surprising as most people conduct voice search when they’re walking or driving somewhere and willing to discover where they should head for. For the cases when people search for something like ‘best donuts in LA’, it would be good to use the keywords including the cities or countries where your business works. People use voice search widely. And its popularity is going to grow dramatically in the coming years. Those who already consider it in their SEO improve their content visibility significantly, as voice search results show only top pages. You can either benefit from these changes optimizing your website for spoken queries or suffer not doing anything. The choice is yours. Thinking of starting to put your SEO skills to good use as a side gig? Here are some tips and resources for how to start a freelance SEO career. Interested in learning more about SEO in 2019? Here are the key trends you need to follow to improve your search optimization skills. An overview of all the main Google Analytics terms you need to know for SEO. Lots of resources included for further learning!